Shari Schreiber is a former beautician-turned-therapist for men who have had a failed relationship with a women suspected of having Borderline personality disorder, for people with with weight problems or addictions, and for people wanting to stop smoking. Her therapist license was canceled in 2006. Her practice was started in 2007. Her practice was shut down in October 2017 by the State of California. She is currently a youtube blogger and releases a weekly self-help video. Ms. Schreiber describes her methods as extremely unconventional and far superior to professional care. She is a highly controversial figure who has sparked controversies all over the Internet over her self-published articles, conflicts with former clients, and her public battles with others. Pros: This resource is not recommended. She encourages some unhealthy practices and has been shut down by the State of California. Cons: Her articles are convincingly written and contain a mixture of helpful information and absurdities. Separating the "helpful" from the "absurd" is difficult in her written material and its use is discouraged. Separating the "helpful" from the "absurd" in her youtube videos is much easier. Thanks for listening and putting this up. I’m outraged by my bad experience with this “therapist”. She runs an unlicensed online therapy practice that would have been shut down by regulators long ago if there were not jurisdictional complications. She inflames feelings of victimization in men who have been deeply wounded in a relationship breakup as a way to sell her service. There are many Internet reports of her being angry, quick to judge, controlling, and an emotional bully. Her articles are crude and immature. She charges $140 - $160 an hour for her clinical "treatments". She will split words and say it's something else, but her the "psychology-speak" in her articles make it clear what she is doing. She claims to be a world expert on BPD and a consultant to psychiatrists with 20-30 years of experience in treating BPD clients. Since my involvement, I have found documents circulating on the Internet that tell a different story. She had a cosmetology license for 15 years. In 1996 she became a licensed psychology intern but had her license cancelled. She didn't complete her internship (supervised practical experience) and she didn't pass her boards. In 2007 she opened a website to help people stop smoking and lose weight and then, suddenly, became an expert clinician on personality disorders with 20-30 years experience. Not a credible resource for an intelligent person. This is the National Enquirer of mental health support. Much of the writing and the message is on a 5th grade level. Providing rogue "after the break-up" mental health services can be a very profitable home based business. Many of these rogues take advantage of emotionally depleted people in moments of extreme despair as they search for quick answers. This is one of the most predatory. Why does she flourish? Because she is highly accessible (you can read her website, receive services online), she is passionate (unfortunately wrong and unhealthy), and three minutes into the first "session" you have your answer (she uses phycology-speak to say, far more convincingly than your mom, you didn't deserve to have your heart broken). Here your emotional wounds can be neatly blamed on our partner with absolute certainty (e.g., they’re psychopaths, sociopaths, mentally ill), you can be validated, redeemed, vindicated as the healthy one (rather than the rejected defective one that you feel like), while the rogue counselor bills your credit card (in advance of the session). There is no need to analyze anything - the answer is always the same for every customer. 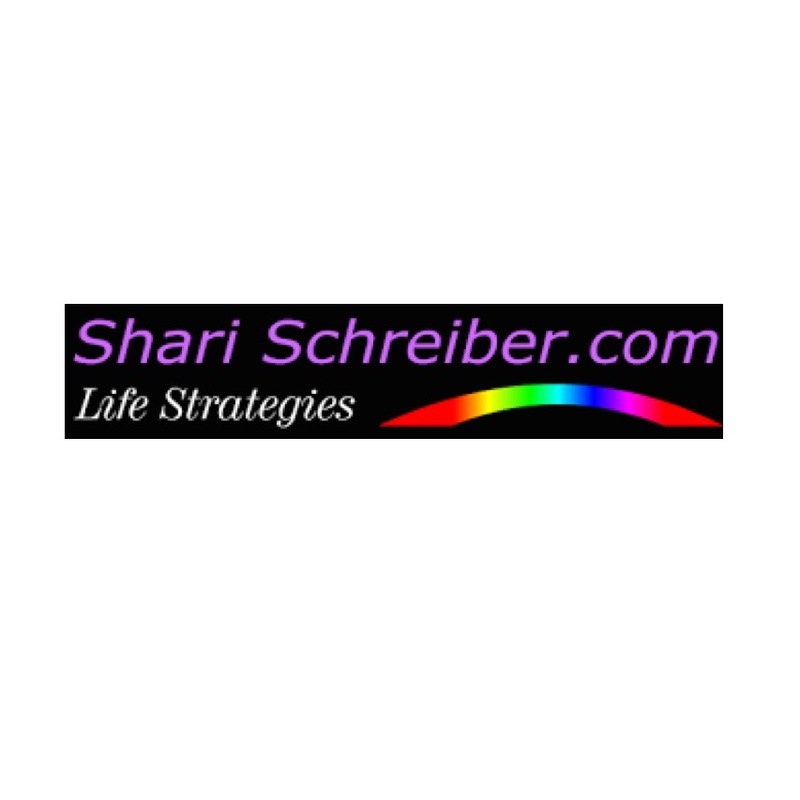 With Shari Schreiber, your ex is terminally ill (almost criminal), your family created attachment issues for you, and you are now a weak people pleaser with "mommy" issues. You contradict yourself completely by the end of your angry and defamatory response. Blame is not an issue once a relationship is over and you are left devalued and isolated. It is only an issue for toddlers and immature self-consumed people who are too weak to accept the responsibility of their choices in life. I have never spoken with Shari, but I have read her articles, and it is pretty clear that she focuses on not letting you BLAME your ex, but realizing that you chose to be there and the likely reason you chose that is within yourself. Anyone who has any experience with addiction knows that they need to get through to the addicts so they can start teaching them they are worth more than the substance they have chosen has to offer them and the only way to do that is by making sure they stay off and away from the substance while they heal. Same thing goes for those who need to heal from the addiction of a toxic and abusive relationship. The abuser is rarely diagnosed with anything, likely is in denial of any problems, and more often than not, the victim has no clue with the 'what' or 'why' they had been dealing with. HER ADVICE (AND MANY OTHER THINGS IN THE WORLD) IS NOT ABOUT YOU! So, have some empathy and understanding for other people in the world and calm down. Besides, a typical reader would not have a background in addiction, nor would they have such a passionate reaction to a run-of-the-mill site critique. I paid for one consult. I did not find you to be well informed, especially your assertions that BPD not a mental illness or incapacity, that it is never caused by a genetic or biological abnormality, and it cannot be inherited. This is very different opinion than those at NEA-BPD and NAMI and my exwife's psychiatrist. I do have compassion for you. I looked at the video. It's concerning that this person is advising people in emotional trauma. 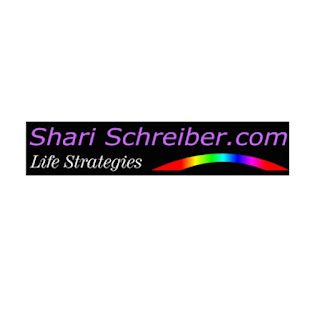 Shari Schrieber's practice has been shut down by the state regulators for cause. I don't think it was a scam, per se', as some have suggested, I think she believes in what she says and it reflects her own mental disabilities and her inability to cope. Her video's give you insight into a women who pounds on her bed with baseball bats, and even breaks them, to deal with emotional pain. I hope she has family to help here through this difficult time. If you follow her history, she was a beautician in California for most of her working career, then went to be a fat and smoking reduction website, and then emerged late in life as a self-professed world expert on BPD. She is now a youtube personality with 50 plus nutty videos with under 500 views. The videos say more than any words here can. She talks a lot about inner darkness, profound quenched anger, revenge... her own. I was rocked by some of the things my x gf with BPD did to me so I reached out to Shari for help. Shari turned out to be crazier than my x gf which is pretty crazy. She told me my Mom was a BPD waif without knowing anything about her. It didn’t take me long to figure out that Shari was crazy. Do yourself a a favor and do not call her even if she is offering her services for free. She is really a horrible person. Not at all surprised to read that. I have heard several other people say similar things. Shreiber seems to project the problem with BPD mothers onto all her clients, regardless of their own situation. She also seems to have made numerous assertions about people and their lives, backgrounds, financial situations etc during the first interview of all things! Based on her Twitter stuff, she assumes all child-issues are apparently the fault and failing of the mother. No doubt this is true for many, but there are countless others where their struggles will originate elsewhere. Shreiber appeared very male excusing for reasons I imagine might come down to some issues with her own mother figure (She said her father was her only source of comfort in an article, I recall). For her talk of having it all together, she seems remarkably...unhealed. I was put off by her excusing domestic violence against BPD women (apparently not BPD men though?) and her general violent nature and love of 'comeuppances' and 'embrace your dark side that wants to imagine this person suffering' shtick. From what I heard of her methods, not surprised she's been shut down. Seems a lot of people found her presumptuous, aggressive, invalidating and mean-spirited. I won't lie that when I first came across her articles they did help make sense of my experiences and put some names to the pain I'd been feeling. Yet, there were always 'hmms' about her. For one thing, she seemed to have a nasty misogynist streak, very prone to wide generalizations (all men react instinctively with violence to violence was one) a very toxic way of speaking to vulnerable people (calling codependent people pussies, for example) and so on. Looking at her videos...yikes... not at all a healthy sounding person, especially her odd one about God or her habit of screaming and beating her mattresses. Furthermore, she's sharing her $150 an hour techniques for free now, I guess, and boy... they sound like run-of-the-mill self-help stuff; say positive things about yourself before bed etc. Sadly, this women seems to be mentally impaired. She refers to her viewers as "her little darlings". She is very much channeling Margaret Hamilton's Wicked Witch of the West. She is a beautician Her primary occupation for 32 years has been to cut hair. I've seen some people dispute that, but here she admits it in a Match 2018 "beauty" video. She is also a self described weight loss and smoking expert. Since Schreiber started providing “therapy sessions” she has never had a valid therapists license – she did have is a cosmetology license #61510 (State of California) between 1981 to 2013. That video is hilarious and sad at the same time. I never met Shari, but I asked her about a woman I was associated with for four months, who showed me some very unusual traits. This was a woman in her 50s, who exhibited all of the traits clinically defined as those of a borderline disordered individual. I didn't know what BPD was at the time. Shari's description of BPD described her exactly, and her explanations about the traits and the causes were consistent with what I suspected. Frankly, I find Shari's insights into BPD, what it is, how it should be understood, and how to deal with it, to be extraordinary. Astounding that we live in a society where someone so insightful and brilliant can be ostracized because she didn't "pass her boards" or attend a high-ranked university or approach this problem like everyone else. Just pathetic. She is extraordinary in her understanding of BPD, and should be embraced not condemned. Before meeting Shari, I had read that BPD is one of the most difficult disorders to treat, and I can see why with all the conventional doctors with their conventional approaches. It really is absurd, and I suspect that the reason she is criticized is because people who did pass their boards are threatened by her effectiveness and brilliance. So count me as a fan of Shari. I'm not a man suffering from any kind of hurt after being in a relationship with a BPD. I suffered no breakup. I'm just a guy who stumbled onto Shari after an experience with a woman who exhibited BPD traits like no other. I'm just a guy who stumbled onto Shari after an experience with a woman who exhibited BPD traits like no other. Your friend was more "BPD" than anyone in history? Astounding that we live in a society where someone so insightful and brilliant can be ostracized because she didn't "pass her boards" or attend a high-ranked university or approach this problem like everyone else. Just pathetic. I suspect that the reason she is criticized is because people who did pass their boards are threatened by her effectiveness and brilliance. Hopefully academia will give up its petty jealousy and society will soon embrace her brilliance. It may take time. Vincent Van Gogh wasn't truly appreciated until 90 years after his death. Have you viewed this work "Best kept secret about me and my life's work." She is a "laying of her hands" healer. She can improve herpes, relieve PMS, help you lose 20 pounds in 14 days.